April 2004 - Senior Vice President in charge of Environmental and Safety Engineering Dept., Technology Planning Dept., Materials Engineering Dept., Measurement Engineering Dept., Advanced Vehicle Engineering Div., Electronics Engineering Div. April 2002 - Transferred to Nissan Technical Center North America, Inc.
July 1996 - Transferred to Nissan Research & Development, Inc.
April 1979 - Joined Nissan Motor Co., Ltd.
With the theme of driving pleasure towards a sustainable future for everyone, Mitsubishi Motors Corporation (MMC) has pushed ahead on automobile manufacturing that aims to contribute to environmental responsibility, deliver driving pleasure, and provide toughness and safety, under MMC's tagline “Drive@earth”. “@earth TECHNOLOGY” expresses MMC's next-generation advanced technologies that achieve the intent behind Drive@earth. MMC started developing electric vehicles (EVs) more than 40 years ago in 1966. Following extensive R&D, over the years MMC rolled out the new-generation EV “i-MiEV” in July 2009. Today, with global warming becoming an increasingly serious concern, automakers must take concrete actions to move today's motorized society away from its reliance on fossil fuels to one that enables a sustainable future. While our rollout of EVs is centered on compact models, MMC will employ a plug-in hybrid system on an SUV model. MMC’s unique “Mitsubishi Plug-in Hybrid EV System”, from January 2013 “Outlander PHEV”, is derived from the control systems used on EVs. Integrated control of drive battery, motors, engines, and 4WD system can select the optimal energy-efficient drive mode, “EV Mode”, “Series hybrid Mode” and “Parallel hybrid Mode“. Idling stop system is a technology that makes the engine stop when the vehicle is stopped, and makes the engine start when the driver wants to start moving again. It is effective in reducing CO2 emissions. MMC calls the technology "Auto Stop & Go (AS&G)". MMC has been focusing for a long time on technologies to control valve timing and amount of lift with the aim of achieving high power output, low fuel consumption, and low exhaust emission. 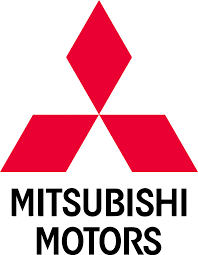 In 2011, “New MIVEC” (Mitsubishi Innovative Valve timing Electric Control system) was developed, featuring further enhanced environmental performance. The new system employs a simple SOHC structure, which continuously regulates both intake valve timing and intake valve lift. Diesel engine’s better fuel economy and low CO2 emissions have been attracting attention as one of the leading automobile environmental technologies. 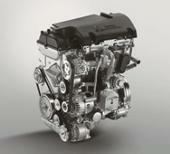 MMC rolled out the new-generation “Clean Diesel”, 4M41-3.2L, 4N13-1.8L and 4N14-2.2L engines. 4N13/4N14 achieved low compression rate of 14.9 combined with MIVEC and achieved a superior combination of full-load performance, fuel economy, and emissions performance. MMC offers enhanced safety through the use of the following advanced safety technologies from October 2012 “Outlander”. FCM (Forward Collision Mitigation system) detects obstacles on the road ahead of the car and automatically applies the brakes to prevent a collision. ACC (Adaptive Cruise Control system) operates to maintain a safe distance between the car in front even at very low speeds experienced in heavy traffic congestion. LDW (Lane Departure Warning system) warns the driver that their vehicle is about to depart from its lane. MMC competes from 2012 in the “Pikes Peak International Hill Climb (PPIHC)” held in Colorado, United States with 100% electric-powered entries, the “MiEV Evolution”. Critical data collected from the race will be applied to MMC's future EV development.